Some thoughts on healing offered for your perusal. Please feel free to argue with me and to present your own thoughts and experiences in the comments section. Helping someone heal is not about willpower. It's about an elusive quantity known as "intent". You somehow get the ball rolling and then both you and your client simply watch the healing "happen". This is the hardest thing for fledgling energy healers to learn. Every healing method emphasizes the necessity for "getting out of the way" and offers techniques to accomplish this, but few students get what it really means. The best analogy comes from Matrix Energetics: it's like dropping a pebble in a pond. The pebble is your intent. You won't get any ripples (effects) until you let go. If you are unsuccessful at healing, you need to see how you get in the way and also take a look at how your client gets in the way. For instance, if you see your client frowning with concentration trying to direct the energy to a specific location in his body, he is not in the right mindspace for healing. You too get in the way by "trying", i.e, by making an effort. What Yoda said about "the Force" also applies to energy healing: "do or do not; there is no try". For a while we required cancer patients to participate in their healing by doing a process called "cycling". By "cycling" here I mean "image cycling", which requires a list of at least 20 things that a person wants that do not involve others, creating images of them, and then flashing the images rapidly in front of the mind's eye like a super-fast slide show. We quickly discovered that most cancer patients have extraordinary difficulty creating such a list. Many cancer patients tend to put the needs of others before their own, especially those of their loved ones, and so have a problem with "selfishly" wanting things for themselves. The possibility has been raised that there is a correlation between this devaluing of one's own needs and developing cancer. I discuss this in greater detail in my post The mind is a powerful thing -- part 2. I have often been surprised (and frustrated) to see my clients using the increased energy they feel after our sessions not for their own healing, but for doing things for their families. My exhortation that at least for the duration of their illness they need to become selfish and look after their own needs first invariably falls on deaf ears. E.g., a client who above all needed to rest exhausted himself by driving his child to a birthday party hundreds of kilometres away in order not to disappoint her. Another client with stage-4 pancreatic cancer with metastases to the liver painted his house and reorganized the garage so his family would not have to worry about these details after he was gone. We have seen some patients who lived in the shadow of much stronger partners, or recently lost such a partner to an illness, and did not know how to cope. Others had come to a point in their lives where they felt completely derailed and had no clue how to get back on track, or the energy to make the effort. All these people had extraordinary difficulty simply wanting things for themselves -- even knowing what to want. One practitioner told me that she can pretty well gauge a client's prognosis by his or her ability to learn to want. Many cancer patients hardly seem to breathe, and are used to operating on a very low energy setting. Many of them have been burning the candle not only at both ends but also in the middle, and expending far more life energy than they've been taking in, for a very long time. When they find their energy levels raised through breathing practices or energy treatments, many of them feel uncomfortable with this unfamiliar sensation and immediately rush off to dissipate what they perceive as excess energy. The refrain will be "I felt so good that I had to do a 40 km bike ride" or "after our session I went to the gym and ran on the treadmill and did weights for an hour." Then of course once the energy runs out, as it invariably does, they crash. I don't quite know how to handle this, because exhortations "not to overdo things" have been about as effective as asking the client to become a bit more selfish in the interest of his or her own healing. Animals heal faster than people. Whether it is an issue of metabolism, body size, or lack of a belief system that would interfere with the effectiveness of the healing, animals are a lot more able to respond to energy healing than people. My best patient to date has been a mutt named Bo, whom I treated ostensibly on his deathbed on two separate occasions 6 months apart. The first time his owners told me they thought he had cancer, the second time that he ate something poisonous. Both times he recovered, and he is still around, a normal, healthy dog. I wish for all our sakes that human clients were as responsive. Animals healing differently from people in fact may not only be true for energy healing, but for healing in general, and it plays havoc with research. A 2004 article in Fortune magazine pointed to this effect as the reason so much promising cancer research turns out to be disappointing when transposed from mice to humans. Substances that heal transplanted human cancer in mice do not necessarily affect cancer in humans. We are similar to our animal cousins in many ways, but we are also much more complex. I suspect that this added complexity has to do with the complicated psyches produced by our complicated brains. Every energy healing modality has stories of miraculous healings, which people tend to dismiss as being only anecdotal. In our group we've seen our share of miracles, the mutt named Bo only one among them. There was also the girl whose lung abscess and scoliosis cleared up within three weeks of our group beginning to treat her and a stage-4 pancreatic patient whose jaundice reversed. I discussed this in earlier posts as the dilution effect. Essentially if everyone who has to date taken an energy healing workshop from any of the great lights in the field were now able to duplicate the teacher's ability to heal, we would have little need for doctors and hospitals. Unfortunately most people go to workshops, diligently learn the technique, practice a little, get so-so results, then quit, or go on to learn another technique in another workshop. The issue from my perspective is that the techniques being taught in these workshops may in fact have very little to do with the teacher's success in healing. I will take an example from physical medicine to illustrate what I mean. Earlier this year I noticed, through the agency of the WYDDTY website, the stellar work of Dr. Patrick Kingsley, who is reputed never to have lost a cancer patient. I read the transcripts of an interview with him and discovered that what he did to treat people was no different from the treatments offered at many alternative cancer clinics, of which few will match his stellar track record. So what is different about Dr. Kingsley's treatments? I submit that it may be Dr. Kingsley himself, and what he adds to the healing through his own personality, belief systems, and energetic interactions with patients. Another doctor in the U.S., the now famous Dr. Issam Nemeh, discovered that his patients fared better than the patients of other anaesthesiologists because he prayed for them. He firmly believes that the agency of his healing ability is prayer. It may be so -- but many others, in fact most others, pray with much lesser effect. So what is the difference? What does Dr. Issam Nemeh do/have that others who also pray don't? And could he teach others to pray as successfully as he does? After 20-odd workshops I've come to the conclusion that the best way to learn from a teacher is to hang around with him or her for months or years on end, and to absorb not only his or her technique but the mysterious je-ne-sais-quoi that lurks behind it. I suspect that the technique offered is more often than not a sleight of hand that hides the real magic happening behind the scenes while you are busy looking somewhere else. Is fighting cancer the right strategy? My attention has lately been riveted by posters on the subway shouting "Join the fight!" and asking "Who are you fighting for?" These posters are funded by the Canadian Cancer Society and they invite you to visit a website called "fightback.ca". On the website you are informed that "April is the month to fight back" and that "every three minutes another Canadian is faced with fighting cancer". 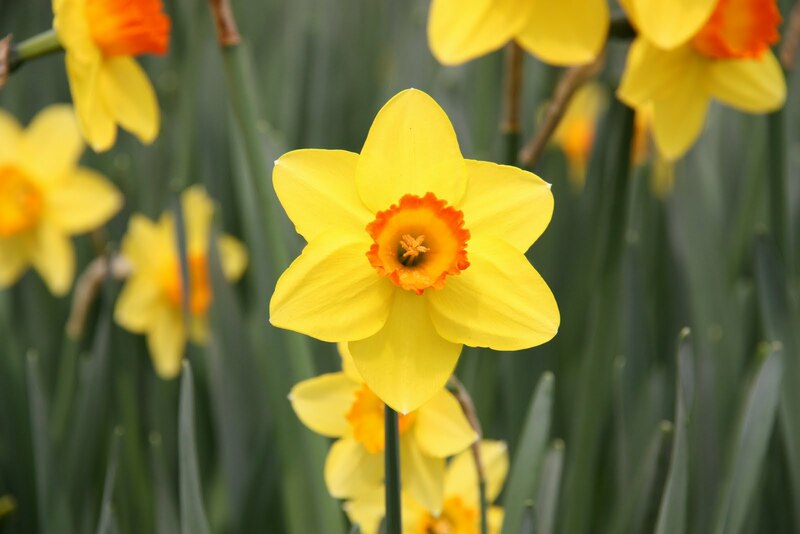 The Society invites you to buy a daffodil in April to show your support, because the daffodil "is a symbol of strength and courage. A symbol of life. It says we will not give up. It says we will fight back. It says we will beat cancer. Join the fight." We have been fighting cancer for a long time, with dubious results. Forty years ago President Nixon officially declared war on cancer, making "the conquest of cancer a national crusade." Thirty-seven years later, in 2008, a headline appeared in Newsweek: We fought cancer and cancer won. The thoughtful, well-researched article attached to this headline suggests that "After billions spent on research and decades of hit-or-miss treatments, it's time to rethink the war on cancer." Indeed it is, not only because the war is being lost on multiple fronts, but also because it is being fought in and over the bodies of millions of cancer sufferers, who often end up as collateral damage. According to Ms. Begley, the author of the Newsweek article, the investment of two-hundred billion dollars in cancer research since 1971 has produced an estimated 1.5 million scientific papers, but no reduction in overall cancer deaths. Most of the scientific studies funded by the campaign to beat cancer have had little or no impact on the lives of cancer patients in the real world. "Indeed, it is possible (and common)," Ms. Begley writes, "for cancer researchers to achieve extraordinary acclaim and success, measured by grants, awards, professorships and papers in leading journals, without ever helping a single patient gain a single extra day of life." Many exciting scientific findings turn out to be "interesting but irrelevant to patients," so perhaps throwing more money at more scientific research on the minutiae of cancer is not the right and only answer. Cancer is a disease with many facets, and it morphs to find its way around the "weapons" thrown at it by science. "Just as cancer cells develop resistance to standard chemo drugs, so they are finding ways to elude the new targeted drugs such as Avastin, Gleevec and Herceptin," writes Ms. Begley. If one route to their proliferation is blocked, they will find another. According to oncologist George Demetri, "By the time there are 10 cancer cells, you probably have eight different cancers. And there are different pathways in each of the cells." That's how complex cancer is. I would like to propose that what we want to do is not wage war on cancer, but find ways of "waging peace" with it. By that I mean we should not try to eradicate these rogue cells by every deadly means at our disposal -- often causing irreversible damage to the patient receiving the so-called treatment -- but instead aim to bring them back into alignment with the body. When we are waging war on them, they clearly outsmart us, and have been outsmarting us for decades. But what would happen if we spent our research dollars on "waging peace" instead? "Waging peace" is what energy healing therapies do. Update Jan. 16, 2012: Also read my posts "Anatomy of a miracle", "Why is meditation a good prescription for cancer patients? ", "Open letter to oncologists", "Using qi gong visualisations for cancer patients", and "Radical love and cancer". The New "New Kid on the Block"
A while ago I referred to the Domancic Method as "the new kid on the block". After three years on the North American continent it has gained traction, with regular clinics through the Bioenergy Life Project, the brainchild of Zoran Hochstatter, who brought the method to America and the U.K. The method is easy to learn and straightforward, and practitioners report good results with many conditions, including frozen shoulder, thyroid irregularities, and even some cancers. It has no religious connotations of any sort and it successfully removes the mystique from energy healing. The new "new kid on the block", somewhat awkwardly named the "Russian Organ Regeneration Method" (a.k.a. the "New Knowledge"), does the exact opposite. It hails, as you would guess from the name, from Russia, and its originators call themselves "spiritual scientists". The method has a non-denominational religious, or if you like, spiritual bend, in that it seems to work through a series of meditations that sound very much like prayer. ROR is grounded in the recognition that we are all one with "All That There Is" and therefore co-creators of our reality. There are a series of videos on the method on Youtube in which people give testimonials of having regrown lost teeth and also internal organs that had been surgically removed. It may sound "far out", but having now attended a workshop on it with a friend, I wonder (along with my friend) whether what the Russians do is similar to what Dr. Issam Nemeh does quite successfully in his healing services in the U.S.: a sort of targeted prayer. The Russian method was translated into German and then taught in English-language workshops in Mount Shasta and Thailand. The Thailand group also included some Australians. I thought this was highly symbolic of our new united world: a Russian method being taught by Germans to Australians and Americans in the far east. You can't get much more international than that. BTW the method is not only being translated, but also transposed, and going forward it may also be renamed. It will be interesting to track its evolution. My reading of the method is that its core concepts are quite powerful and that it will go a long way if those core concepts can be retained in translation. If you want to know more, take a look at the Organ Regeneration discussion group on Facebook.